Inditex is one of the world’s largest fashion retailers, welcoming shoppers at its eight store formats -Zara, Pull & Bear, Massimo Dutti, Bershka, Stradivarius, Oysho, Zara Home and Uterqüe – boasting 5.618 stores in 84 markets. 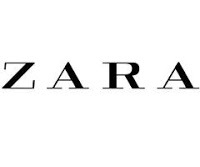 Zara welcomes shoppers in 84 countries to its network of 1.659 stores in upscale locations in the world’s largest cities. The retailer’s international footprint proves that national borders are no hindrance to a shared fashion culture.